These juice shops have original names like The Juice Shop, Juice Press, and The Pressed Juicery. One of these ubiquitous juice shops you’ve seen in Manhattan is Liquiteria. This juice joint is home to New York’s original pressed juice. The company has been offering pressed juices, smoothies, Acai bowls and cleanses since 1996. When you purchase your healthy drink on location, your credit card will be linked to your customer profile (which you can create in the app). 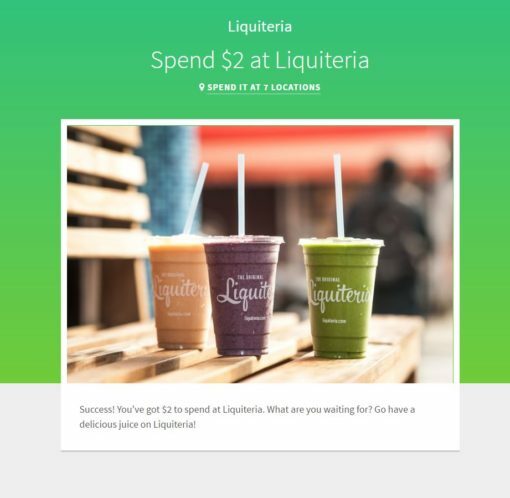 When you shop at any Liquiteria location, if you pay using that same card you’ve saved into your profile, your rewards will automatically be counted into your profile. You can also pay by opening up the Liquiteria app on your phone and scanning your QR code — more on that in a minute. Order twelve qualifying items at Liquiteria and get your next purchase for FREE (limited to a single pressed juice, smoothie, or bowl). In addition to periodic promotions, Gilt discounts, and other offers offered by the popular Juice bar, you can save by referring friends to the app. As with manyt LevelUp programs, referring a friend will give both sides credit towards the next Liquiteria purchase. So with the referral you can get $2 off your next Liquiteria purchase if your friends download the Liquiteria App. Your friends will receive $2 off their initial purchase, and once they’ve spent that $2, you’ll receive your $2 credit. 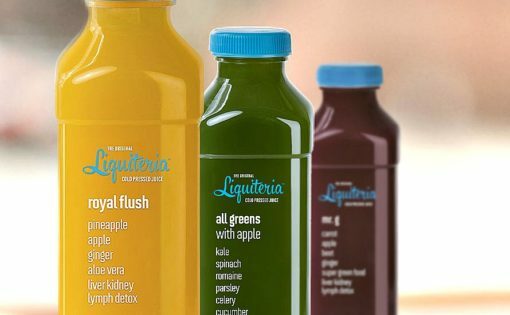 Back in 2015, the Liquiteria credit referral was $5, so that was great. But hey, free credit is free credit! Read Shiu Lei W.‘s review of Liquiteria on Yelp Save $2 on your next purchase by signing up here. How Does the Liquiteria App Work? Thanks to companies like LevelUp, many food retailers are starting to integrate technology into their customer check-out experience. Liquiteria is hopping on this pay-by-mobile app bandwagon, which means rewards in your pocket. Their system is easy and convenient. I recently went to Liquiteria to buy my favorite juice, Killer X (a cold-pressed juice with ginger, cayenne and lemon). During my order, the employee let me know about Liquiteria’s loyalty program and $2 referrals. Want $2 off now, sign up below. Don’t want a coupon credit? You can download the Liquiteria app onto any smart phone with iOS or Android. Once on your phone, sign up to LevelUp, input your credit card, and pay via QR code whenever you stop by Liquiteria.